It’s okay not to be okay! Five practical ways to support someone facing a loss. Some emotions such as joy or inspiration are wonderful to experience. We usually welcome them with open arms. Conversely, we often meet emotions such as sadness or frustration with a large “please leave now” sign. These feelings can quickly drag us down into the pits of despair, impacting our bodies and outlook on life. When these intense depression symptoms take hold, overcoming them can be incredibly challenging. Unsurprisingly, millions of people around the world struggle with depression. If you’re facing your own battle against depression, it’s important to know that there are tools available to empower you in your struggle. Here are four practical tips that you can start applying today to help you overcome depression. Far too many times, people underestimate the significance of the body-mind connection. Yet, your body can have a profound impact on your mind—boosting your mood, changing your outlook on life, and improving your overall mental health. And you have the ability to harness this incredible power! With a couple of physical adjustments, you can instantly improve the way you feel. Start by noticing how you’re currently holding your body. Are you slumped over? Or is your mouth turned down, by any chance? Gravity is a strong force. So is depression. To battle both, try raising your chest bone a bit. Pull your shoulders back and keep your chin parallel with the ground as well. This will encourage a feeling of strength, confidence, and being in control of your life. Depression is the nemesis of routine, robbing your life of any type of a structure. Causing you to feel as though you can’t do this or accomplish that, depression often weighs you down. A way to fight this heavy feeling is to establish a solid routine in your life. It may sound odd to fight the enemy of structure with structure, but it really works. 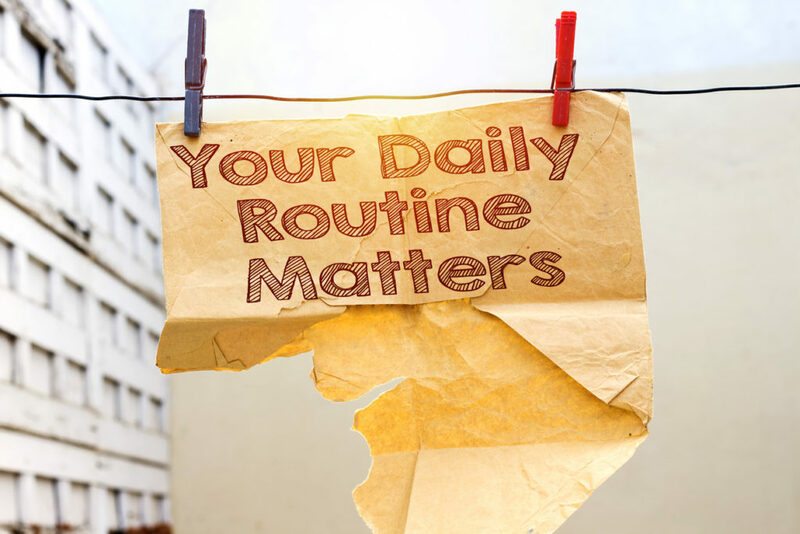 For example, along with a healthy self-care routine, create a daily routine that you really enjoy. As a result, you’ll feel more secure when things don’t go your way. This daily depression-fighting routine will look different for each person, of course. For some, it may be dedicating an hour to yoga and meditation. Others may thrive on a daily three-mile jog or walk. Whatever you insert into your routine that makes you feel good, stick with it. There’s even a hashtag trend #DoItAnyway, helping people to stay committed to a healthy daily routine. As you’re probably well aware, depression has a filthy mouth. Not only does it attempt to cripple your mind and body but it also tries to stifle your emotions as well. Often, depression uses your own tongue to do its dirty work through negative self-talk. In fact, even your choice of words to describe an experience can impact the way you store that memory. Thus, influencing the way that you perceive the world around you. To help you control your emotions, choose your words carefully. Although it seems like a minor shift, it’s amazing how much of a difference such a small change can make. In an attempt to connect the corners of this big wide world, social media has actually done its part to push us further back into our cave. Of course, social media does have its place in our lives. It can be a great resource to maintain long-distance relationships or to stay current on local new and events. With that said, social media can also increase feelings of depression. To effectively deal with depression, face-to-face interactions are your best bet. And that’s just for starters. To take “IRL” (in real life) experiences to another level, go for a walk in the park or sit in the sunshine for 20 minutes. These organic experiences do wonders for boosting your mood and fighting depression. For more support in your struggle with depression, please reach out to me today. I would like to help. Counselling can empower you to use the skills and tools you already possess to overcome depression. © Creative Life Solutions. All rights Reserved.